Despite the ongoing dialogue about the extent to which certain drugs—namely marijuana—should remain against the law, a number of drugs are still very illegal in Maryland. In the event you face charges on account of possessing illicit drugs of any kind, you are best served by seeking legal assistance at the earliest available juncture. In the event you find yourself subject to legal concerns like these and reside amid the La Plata, Waldorf or a Charles County areas, our attorneys have experience handling a variety of criminal defense cases, including a wide range of drug offenses. While you may be facing legal issues, you do remain innocent until proven guilty, and the right attorney can make a decisive impact upon that verdict. Before seeking legal assistance, it never hurts to develop a better understanding of the laws at stake and what they might mean for you. Not all illicit drugs are equal, and possession thereof may lead to very different kinds of consequences depending upon the kind and amount in question. While Maryland recently decriminalized small amounts of marijuana, possession can still carry penalties, particularly if there is a large amount under someone’s control. “Control” means that you have access to the drug itself, whether it be on your person physically or nearby and subject to your ability to use it. In other words, you could be found guilty of possession even if the drug isn’t in your pocket. If you have less than 10 grams of marijuana under your control, the penalty is tantamount to ticket for a moving violation or traffic offense—a fine between $100 and $500 depending upon whether it’s a first, second or subsequent offense. 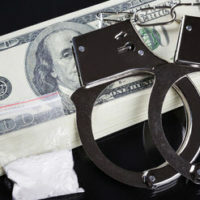 Possession of other illicit drugs can, however, result in far more severe penalties, including misdemeanor charges that carry up to four years in prison and as many as $25,000 in fines. That includes possession of unauthorized prescription drugs, methamphetamine, cocaine or opiates like heroin. Things become even more problematic in the event you are found to possess a significant amount of drugs. Regardless of why someone has acquired said amount, appearances indicate an intent to distribute, and that can be a far more serious legal problem. In addition to substantial fines, possession with intent to distribute may imply prison sentences ranging up to 20 years for Schedule I narcotics, Schedule II narcotics and hallucinogens likes like LSD or PCP. Regardless of the extent to which you may believe abuse of these drugs ought to subject to treatment rather than prison, the legal system can be pretty unforgiving. Note that some kind of drug offenses may also carry mandatory minimum sentences. If you’re faced with an arrest or related charges, it’s important that you have the right lawyer on your side. People may make mistakes when it comes to drug use, but so too do police officers and prosecutors. 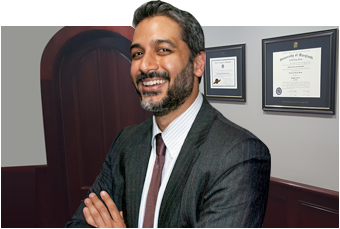 A professional and committed defense attorney is essential to the protection of your rights and interests. The Law Office of Hammad S. Matin, P.A. is prepared to hold the law accountable and assure you a fair defense. Contact our Maryland attorneys today for professional assistance.